Earlier today, Marc was on set with CTV Morning Live in Ottawa chatting about Canadian Home Trends Magazine and sharing tips for organizing your home this fall! If you missed it, you can also catch Marc this weekend on stage at The Home & Design Show in Ottawa. One of the projects Marc demonstrated on CTV this morning was Faux Book Box that provides the perfect hidden storage for your bookshelf! 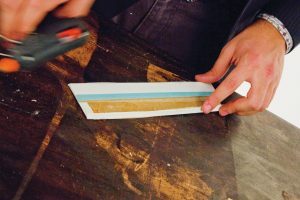 If you’d like to try this project for yourself, here are the step-by-step instructions. I am trying to organize my living room. Our house is small so we don’t have a family room, just a main living room, which means my shelves are cluttered with dvds and knick-knacks. Is there any way I can make it look more chic? Many of us live in small spaces. With more condos being erected in metropolitan areas than we can count, it is safe to say that we must learn how to properly organize our homes to make the best of every square inch. Whether we have a family room or not, we love to integrate entertainment systems in our living rooms. With wall mount flat screens, it is much easier to hide and camouflage our electronics, but what do we do with the rest of our knick-knacks? 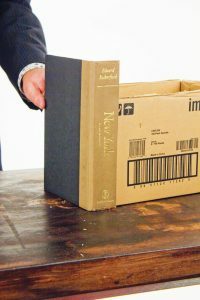 This project will show you how-to build a book-covered box that will hide your clutter. Line up the books in the order you want them to appear. Measure the size of the box and make sure you have enough books to cover the entire box front. Cut the pages out of the books. 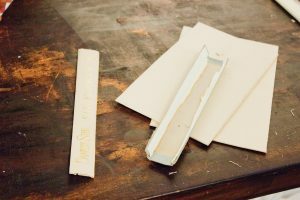 Take the two book ends aside and cut only one side (the cover facing the inside of the arrangement) and fold the cut piece onto the book spine’s back. 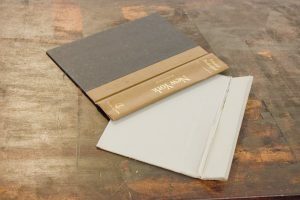 Cut the covers of the remaining books while leaving one side of book cover long enough to fold back onto the back of the book spine. Glue the first book onto the front of the box. 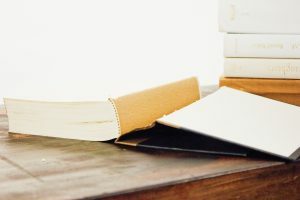 Set the the second book spine beside the first book. Repeat this pattern till you get to the end. 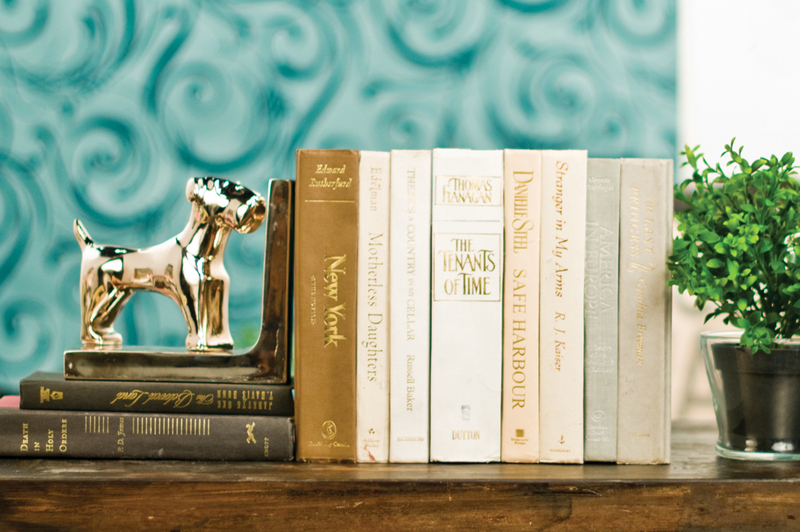 Place a few select items in your new “secret books” and proudly display it on your shelf!